Chris Sale got a hefty 5 year $150 Million extension. In the abstract this is a great deal. Sale is an all time pitcher for many reasons, and it’s only the 37th ranked deal in major league history. Considering how good Sale has been, and how most of the top deals are happening now, it was a nice job by Dombrowski. If everything was going well, if the team was even .500, Sale’s slow start would be no big deal. He’s taking it slow. He’s really just had his third spring training start. He’ll be throwing 99 in September and October. But things are not going well. Which opens the door for 2nd guessing. And not just by the media and fans. Again, in a vacuum, a great deal. He’s only tied for #62 on the all time list. And he’s four years younger than Sale, and repped by Scott Boras. He’s a two time champ playing a premium position and one of the top Shortstops in the game. Record contracts are being handed out, and Dombrowski got him for 6 years, $120 Million. That’s actually a bargain. He’s playing fine. He’s hitting .280 with an .899 OPS. That’s more than fine. But if he’s not worried about living up to his (underpaid but life changing) contract, does he run on Roman Laureano the second time? Bradley and Betts both have one year of arbitration left. But beyond Bogaerts and Sale, players all over baseball are getting contracts, including buying out the last year of arbitration. A lot of those players don’t have World Series rings on their resume. Both of them are stubborn in their own way. 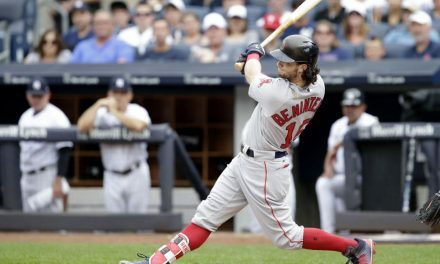 Last year Jackie would brush away changing his swing due to shifts, and Mookie is turning down $200 Million deals because he thinks he’s worth more. Xander $120, Mookie $200 looks about right from here. But Mookie is looking at Mike Trout’s $426 Million. Are they thinking about their contracts when they are not once, but twice, not communicating in the outfield? Were they questioning turning down contracts or how they deserve more? The first time they banged into each other, but the ball was caught. The second time it bounced between them for a two run double while they stood there. Somewhere in the Statcast universe there was a machine screaming that there was an 89% chance that ball would be caught. 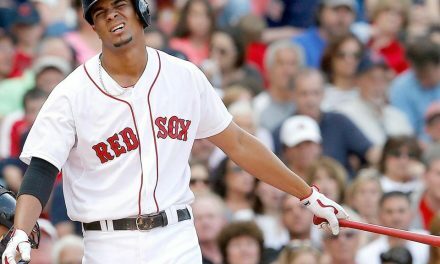 And did Betts have his head on straight when he challenged the clearly greatest outfield defender of our generation Roman Laureno in the 9th inning? Porcello has been the perfect #3 starter for this team. Yes, he won a Cy Young when everything went perfectly, but he’s the steady guy who’s going to make 30 plus starts and never go on the Injured List. One secret to his success is control. When do we loose control? When we are worried and anxious and unsure of our future. When things are uncertain. Porcello is up after 2019. He’s practically begged to be signed, saying he would give a hometown discount. And couldn’t Porcello say to himself that he’s never had to go on the Injured List. He’s actually won a Cy Young. 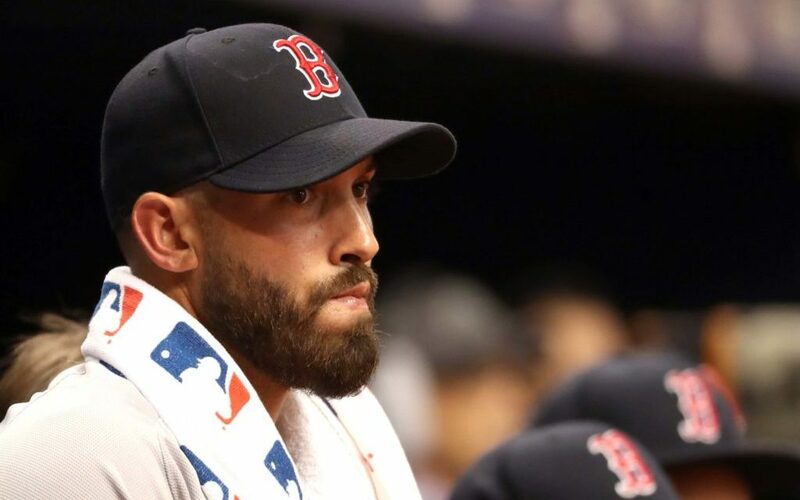 Couldn’t he be looking sideways at Chris Sale and saying to himself “This guy gets paid but I don’t?” Don’t quote me on this, but I believe Porcello was one of the few pitchers not in the room when Sale’s extension was announced. Some say this is a 2018 World Series hangover. From here this is a mass of confusion, worrying and anxiety about contracts. It can be fixed. These guys have to have some pride right? It’s a 4.5 game deficit to first in the AL East right now. That’s not insurmountable, and so far the guys are healthy. But they better wake up soon.